Blogs What do you want from a motherboard? Discussion in 'Article Discussion' started by Dogbert666, 11 Oct 2016. Antony wants to know. He MUST know. My last motherboard purchase was the ITX Z97I-PLUS. There were loads of others with similar features at the same price, so in the end it came down to which had a sensible layout and looked alright. - 1 pci-express 4x between the cpu and the pci-express 16x, that would be great for people who have dedicated sound cards. - SATA 6Gbps at 90º (hate motherboards with "normal" SATA 6 slots), always get in the way of the GPU. More than 2 pci-express 16x seems a waste of motherboard space, that could be included in premium motherboards for those high-end dudes. That would enter my price range of 200-220€. Motherboards for me are second only to RAM in terms of being a dull component. I suppose things like POST times would be interesting or maybe how responsive the EUFI is. The things that you can't get by looking at the spec sheet and some photographs. I've just brought a new mobo, and really struggled to find info on non z170 motherboards. Since I'm not likely to oc my chip, i wanted to know how the "lesser" chipsets fared, but it wasn't easy. Went with this one Gigabyte GA-H170-HD3 in the end. Based on the fact it has m2, a couple of usb3 ports and space for a few more off the mobo. I know this is an enthusiasts web site and don't want to start a debate, but it'd be nice to have a guide for those who don't want to oc. Y'know, something that tells you this board/component will do you fine for the next 3-5 years if you're not a regular upgrader, has good features for today and probably in the future. Price is reasonable. Don't sweat it that you're not buying premium gear, this will do you fine! Make the main power connector smaller and angled. Keep the extra power connector out of the heatsink, I don't want to chop up my hand unplugging it. Integrated Wifi should be much more widespread. Focus more on matx / itx. 1) In case of mainstream motherboards, no.1 requirement for me is presence of DisplayPort. You can't really make DisplayPort from HDMI/DVI/VGA (yes, there are some super expensive adapters which can do that for single link DVI, but that is meh) - but you can make any of those with either passive adapters (HDMI 1.4, single link DVI) or active adapters (HDMI 2.0, dual link DVI). 2) Usable fan control - have a good BIOS fan control, or if not, then at least have an usable interface for Speedfan and similar tools. Manual fan control is horrible. 3) Intel NIC, multiple USB3 headers, onboard power buttons are a nice to have. I think it's important to distinguish changes we wish that are exclusive to motherboards. For example, the ATX power connector is also limited by PSUs. Overclocking related features can be limited by the CPU. Physical dimensions can be limited by chassis availability. I personally have very few complaints regarding x86 motherboards (other architectures is another story...). Its hard to find too many issues that all or nearly all motherboards have. One that stands out to me are USB ports. 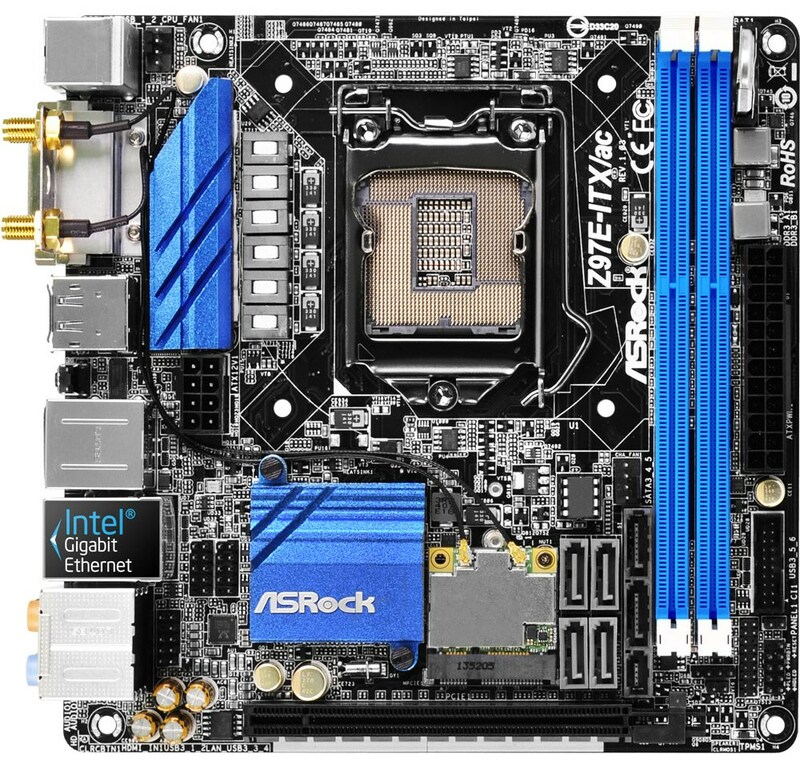 So many motherboards just have integrated USB hubs and are like "hey, look at how many USB ports you get!". Normally I wouldn't really care, if I knew which ones were attached to what hub. So for example, if I have 8 ports attached to a single USB host, I'm fine with plugging in my keyboard, mouse, gamepad, printer, and any other low-bandwidth device there. But in the event I'm transferring files between multiple flash drives or external hard drives, I don't want them on the same hub while they fight over each other's bandwidth. As another thought, there should be more standardization among connectors. So for example, there should be a minimum requirement of non-CPU fan connectors, or required positions for PCIe 16x and 1x slots. If such features were standardized, it'd be easier to revolve chassis designs around this. Also, I'd like the RAM slots to be parallel with the expansion slots, for air circulation reasons. I for one would like some more audiophile components on motherboards, not just the tarted up Realtek chipsets. I noticed that on one Gigabyte motherboard they had Creative chipset. One of the big ones for me is gigabit ethernet. Preferably two of them. Onboard audio and video, even really basic, is nice. I'm not an audiophile and I hate Creative, so I want something good enough without wasting a slot on an extra card. M2 slot, especially on uATX and ITX boards. There is no real need in this day and age for an off-board drive and in small systems finding room for it can be a pain. Moving all the power connectors to the edge of the board and putting them in 90 degree mounts would be nice. Scratch "power" and just move all the connectors to the outside unless there is a specific reason such as a northbridge fan header or some such. More memory slots, because why not? LCD screens are dirt cheap these days, so why not put a actual system status readout in instead of a two digit alphanumeric display or beep codes. Trying to figure out what a motherboard that refuses to boot is complaining about is one of the most frustrating parts of building a system. The rest of the features are a given due to the choice of chipset (USB 3, SATA III) or because they are a motherboard staple (on-board ethernet, audio). I don't overclock my CPU (i7-6700K) but it's nice to have the option on the table, plus the price difference to H170-based boards was negligible. Apart from some initial confusion regarding NVME SSD + BIOS settings + Windows 7 + booting in UEFI mode while setting things up I'm happy with my purchase. Totally depends on what I actually want to do with it. Eg: for dual socket boards I want IPMI, dual gigabit Intel NIC, good socket spacing so I can use larger-than-stock coolers like the Noctua U9 or U12's... significant numbers of SATA or SAS ports, passive cooling on the chipset is preferable, E-ATX so I can use one of my favoured cases rather than having to either a) buy something specially or b) mod case to work. For single socket nowadays, M.2 (either SATA or PCI-E, I'm not hugely fussed as I've used SATA M.2 SSDs in my laptop and am very happy with their performance), at least 3 PCI-E 16x slots (4 preferable), but can live with 2 as long as the slot spacing is sensible. Optical out for audio. Given that ITX boards obviously cannot fit many expansion slots, I am amazed that so few come with headphone amps or excellent audio packages as their 'killer feature'. As far as I'm concerned, dual BIOS should become a standard feature for all motherboards. It nigh on saved my life when I was messing around with mine a while ago. I'd like to see the ability to use replaceable modules to make all cable mounting points either 0 or 90 degrees. For example, in a large build, I like them at 90 degrees to the motherboard so I can easily lead them away into some hidden area, but for mITX I found that 0 degree (i.e. straight up) was more desirable due to the limited space available. Better onboard (maybe even modular) sound would also be nice, though to be honest the Asus motherboards I use put out decent enough sound with their Realtek things. In terms of driver support, a recommended install order would also be good - props to Asus and Gigabyte for making it easy to find them on their websites. I currently do something like installing the chipset drivers first, then SATA, then etc. EDIT: oh, and any sort of connector should be on the edge of the board whenever possible, after seeing Splooshiba's post. I want a motherboard that I can buy. I then want that motherboard to be held in stock for RMA for *at least* the warranty period after the last one has sold in the stores. A couple of years back I bought a MSI Big Bang Xpower II. It was brand new in the box and was pretty bloody expensive. It failed after 11 months so I RMAd it back to MSI who then took six weeks to tell me they didn't have any, and in fact, did not have any X79 boards at all. That's bad news. Especially when I had a 3970x, a very expensive CPU. I don't understand how you can sell a £350 motherboard and then not bother to stock any replacements. So that is what I want from a motherboard. These! Displayport should really be standard on the back IO plates, plus USB 3 and USB type C.
High reliability should be a given. Also buzzers or a code display for looking up error codes. LED next to components just doesn't tell me HOW it is going wrong, just WHAT went wrong. Please no Wi-Fi or bundled expansion cards, they add to the cost and not always used. Stability. Subtle design. No unnecessary lights. Appropriate ports (PCI-Express 16 slots. Piss off with your 8x in a 16x slot), reasonable I/O board. That's.. Pretty much it. My x58 Sabertooth ticks most of those boxes, hence the lack of upgrade. My main concern is upgradeability. I am happy to switch various components for better ones, but changing motherboard should be a very last resort, as it usually requires changing everything else. I have a Z77 board for about 4 years now, and I already upgraded the RAM and filled all the sata3 connecteors (both of them), so I feel a bit contrained at the moment. Also, would rather have an empty pcie wifi slot, than an integrated non-upgradable wifi.